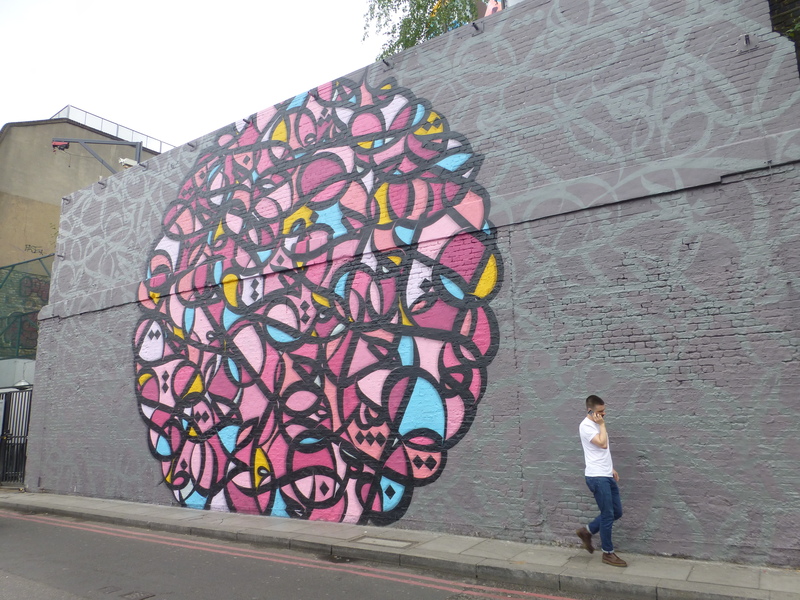 We are playing catch up here, but a month ago now, one of the East End’s largest and most iconic walls, that of the Village Underground in Shoreditch, received it’s latest makeover, on this occasion from French-Tunisian Street Artist el Seed. 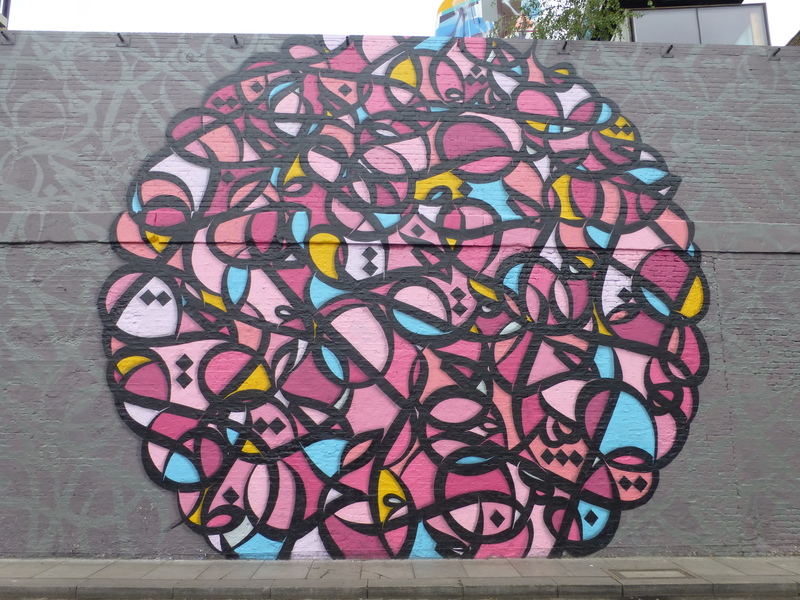 el Seed’s style derives from fusing Arabic calligraphy with graffiti techniques, making for his own brand of what he refers to as ‘Arabic Calligraffiti’. 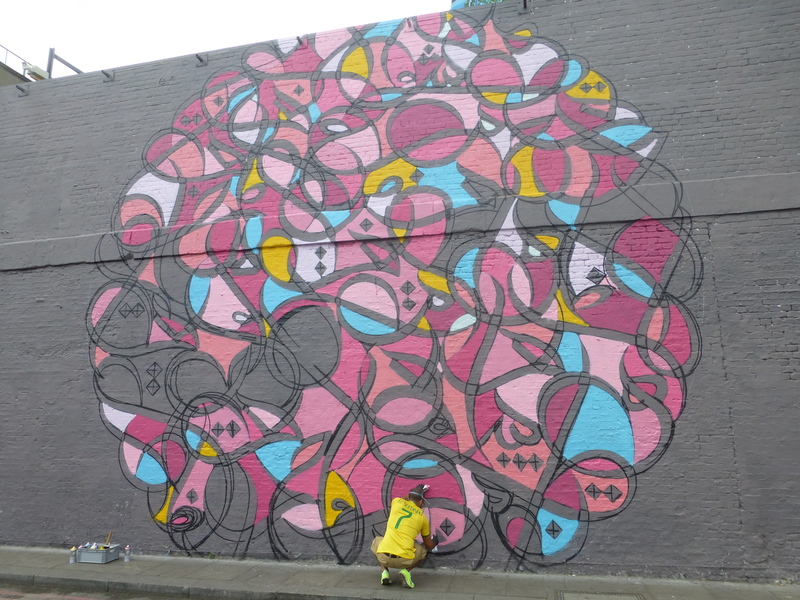 His dramatic designs, infused with bold bright colours and overlaid with his distinctive ‘Calligraffiti’, create a somewhat stained glass effect about his works, in which it is the intricate and flowing contours which really dominate the work. 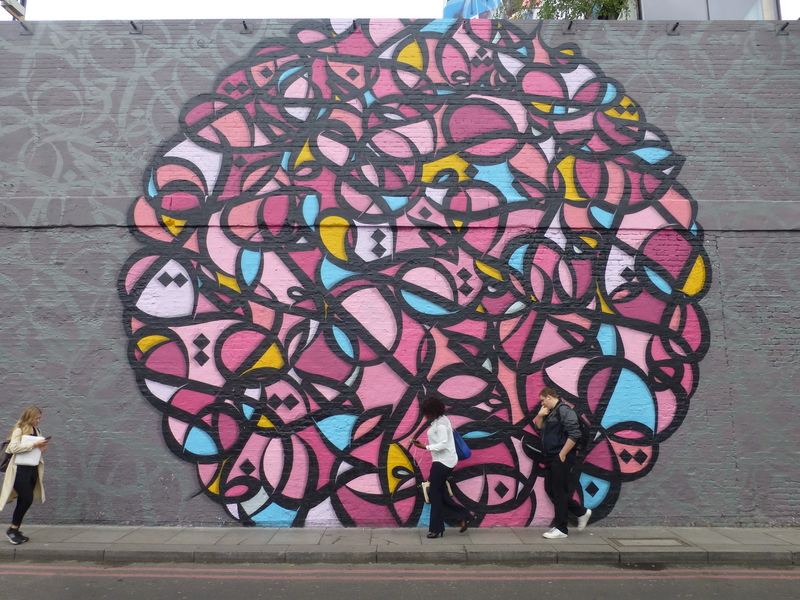 The piece was painted for this years Shubbak Festival, London’s premier festival dedicated to Arab culture. 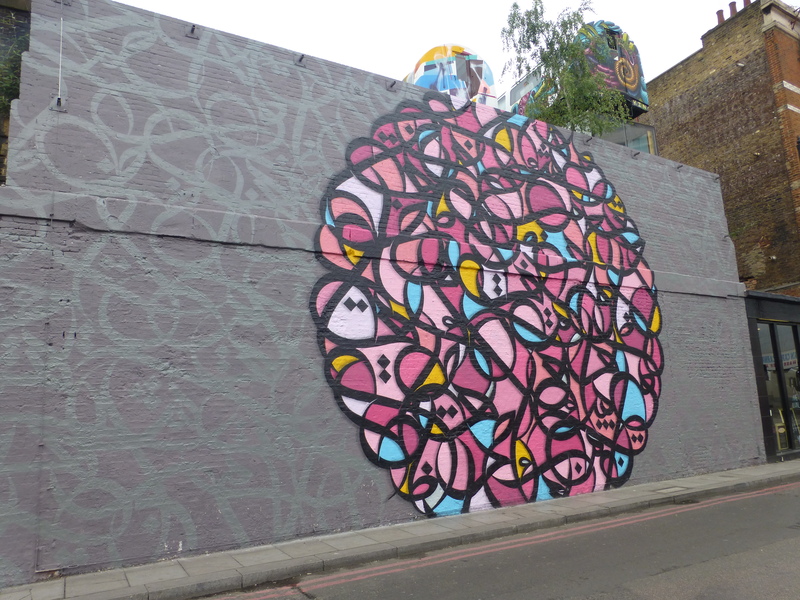 You can see our post on the work by Fats also for the Shubbak Festival (covered here). eL Seed at work on Day 1 of his work. 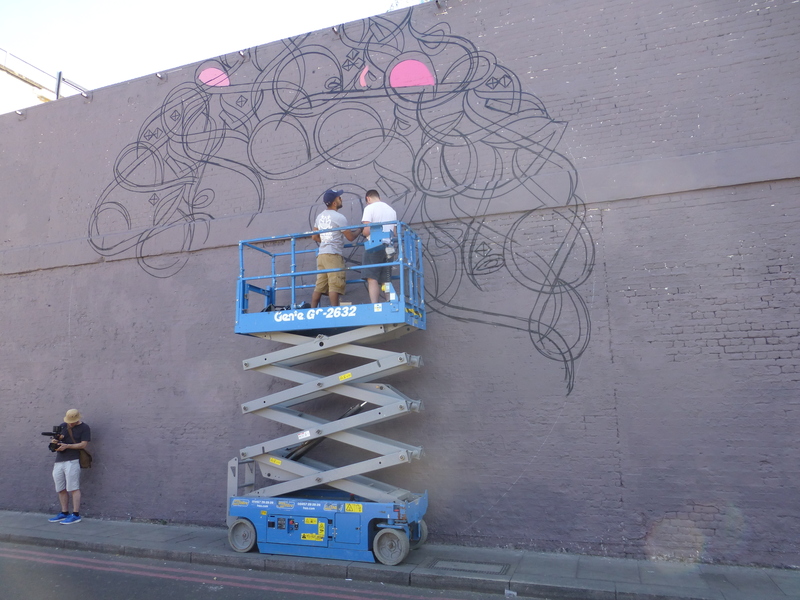 eL Seed at work on Day 2 of his work. 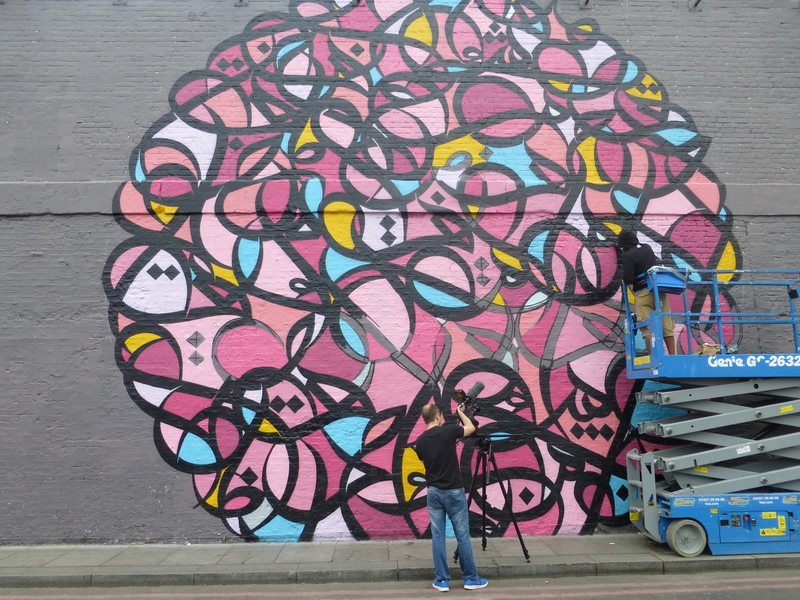 eL Seed at work on Day 3 of his work. The finished and large scale mural. 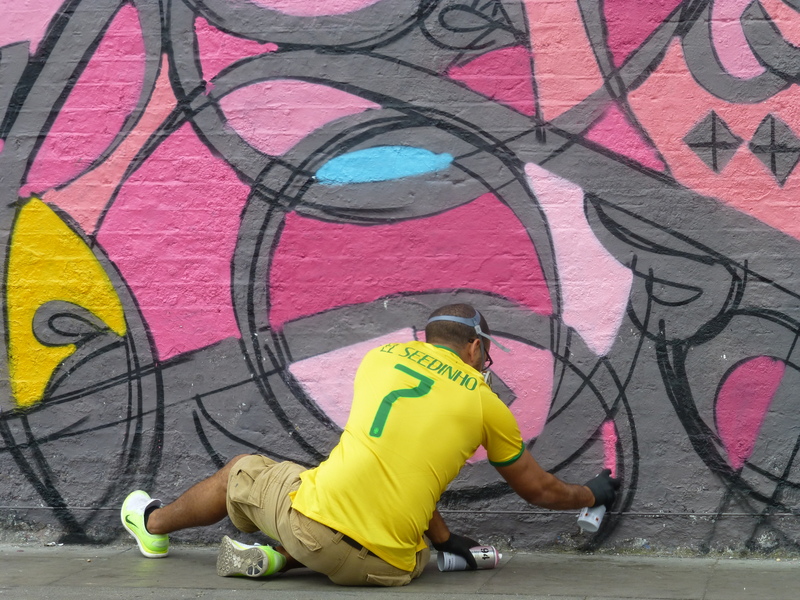 The passers-by here offer some sense of scale of the finished mural.